RDA Gold Coast is pleased to welcome our new committee member Diane Dixon, who is the Project Director of the Gold Coast Health & Knowledge Precinct. Committee member Shannon Willoughby was acknowledged as one of the Gold Coast's education power brokers. As the CEO of Study Gold Coast, Shannon has been a driving force in building international student numbers in the region for more than four years. She recently left to take on the role of CEO at Study Queensland. RDA Gold Coast, in collaboration with FIAL, RDA Ipswich & West Moreton and RDA Logan & Redlands, hosted the first in our series of workshops to boost competitiveness and innovation in the food and agribusiness sector. Win-Win Negotiations, held on October 16 at HOTA Home of the Arts, was attended by suppliers and business owners, and focused on the art of successful negotiation with domestic, national and international buyers. e-Commerce Readiness forum on Tuesday 5 February at Gatton. RDA Gold Coast sponsored a major employment and skilling event for American fast food company Carl’s Jnr, who are establishing new businesses at Hope Island and Rothwell on the Gold Coast in early December. They plan to expand to 40 stores in Queensland within two years. This first employment and skilling event on November 21 attracted more than 150 applicants, with 80 positions available for local residents. We are collaborating with the Australian Department of Jobs and Small Business, and the Queensland State Government’s Department of Employment, Small Business and Training on this project. Carl's Jnr is an American family company who currently have 3,800+ restaurants in more than 42 countries. This includes IGA stores, Cinnabon and Carl’s Jnr, a premier burger brand. As one of the sponsors of this event, the Director of Regional Development Estella Rodighiero and Chair Nick Scott attended the monthly committee meetings and award presentations. The winner of the RDA-sponsored Manufacturing Category in October was AAC ID Solutions. The Gala Ball was held in November, where the annual winner of the Manufacturing Category - Digga Australia - was announced. We would like to congratulate Digga as well as all category winners and Condev Construction, who won the overall 2018 Business of the Year. Building Better Regions Fund Round 3 – applications closed mid Nov 2018. RDA Gold Coast assisted a number of high calibre applicants and we’re awaiting advice on the outcome. Regional Growth Fund – 16 national projects have now progressed to Stage 2. Mobile Black Spot Program – applications for Round 4 closed mid Jan 2019. Ormeau Rugby League Football Club have secured a $500,000 grant as part of the Community Sport Infrastructure Grant program for new much-needed change rooms and facilities. Other grant information is promoted on our Facebook page. GrantConnect also provides centralised publication of forecast and current Australian Government grant opportunities and grants awarded. Gold Coast Light Rail - A deal to extend the light rail from Broadbeach to Burleigh Heads is imminent. The $660 million tram line is in the hands of state and council representatives after a business case overwhelmingly backed the 6.6km link. 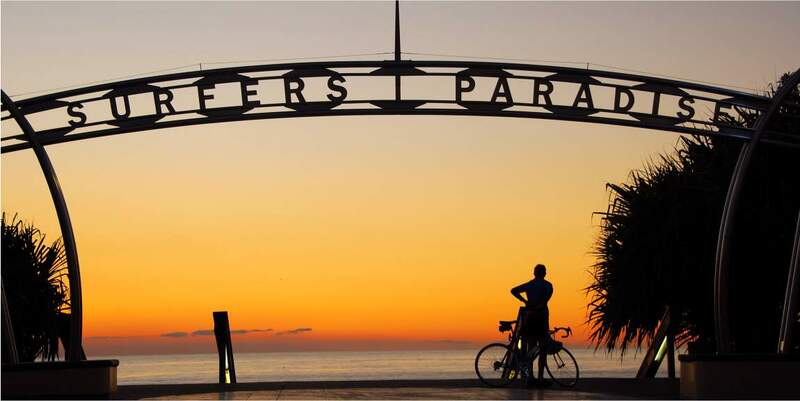 Gold Coast Oceanway – A $4 million extension of the Oceanway is now open from Currumbin to Snapper Rocks. Bond University, Australia’s top university here on the Gold Coast, ranked first out of 42 Australian universities in the Government’s 2018 Employer Satisfaction Survey. Griffith University Deputy VC, Debra Henley, a Gold Coast researcher, was named as one of six scientists appointed to Australia’s peak body for sciences. Gold Coast Airport’s Chinese Coup – Chinese tourism on the Gold Coast is tipped to soar with a giant Chinese travel booking company committed to opening its first Australian store at Gold Coast Airport this year. The Gold Coast has secured the 2024 Lifesaving World Championships which will inject over $15 million into the local economy. The Green Bridge to connect Chevron Island to HOTA, Home of the Arts, is underway. Round 3 of the Australian Government's Building Better Regions Fund is now open. Grants are available for projects which will create jobs, drive economic growth and build stronger regional communities into the future. We're awaiting advice from the Department of Infrastructure, Regional Development and Cities on outcomes from Stage One applications for the Regional Growth Fund. More info soon. The competitive assessment process for Round 4 of the Mobile Black Spot Program will commence later this year. At this time, feedback is encouraged re: coverage issues to your Federal Representatives or RDA Gold Coast. Other grants are promoted on RDAGC Facebook page. You can also subscribe to GrantConnect, which provides centralised publication of forecast and current Australian Government grant opportunities and grants awarded. RDA Gold Coast held its AGM in September and took the opportunity to invite past Chair Craig Devlin and his wife Vicki. A special presentation was made to acknowledge his contribution to the Gold Coast as RDA Chair for seven years. 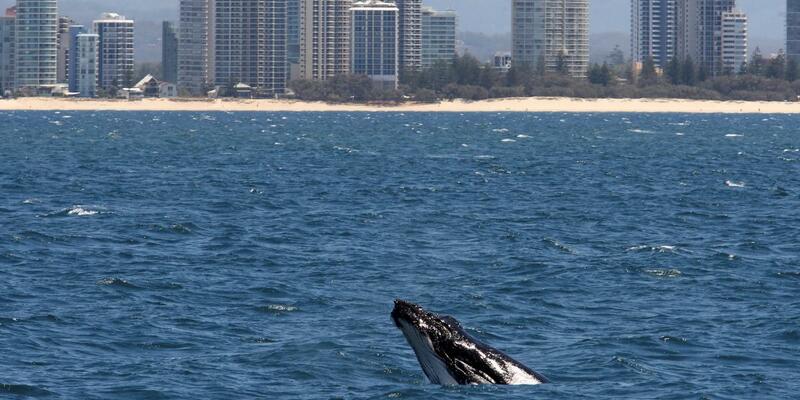 Nominations for RDA Gold Coast Committee members had recently been called for. We're currently awaiting advice from the Federal Minister re: appointments. Ian Hatton, City of Gold Coast Chief Innovation and Economy Officer, presented at the July RDA Gold Coast Committee meeting. Mr Hatton discussed innovation projects currently underway, and the role of alignment and interaction between the City of Gold Coast and RDA Gold Coast to secure economic development and growth for the region. The final monthly presentation is in October, with the annual Gala Ball in November. 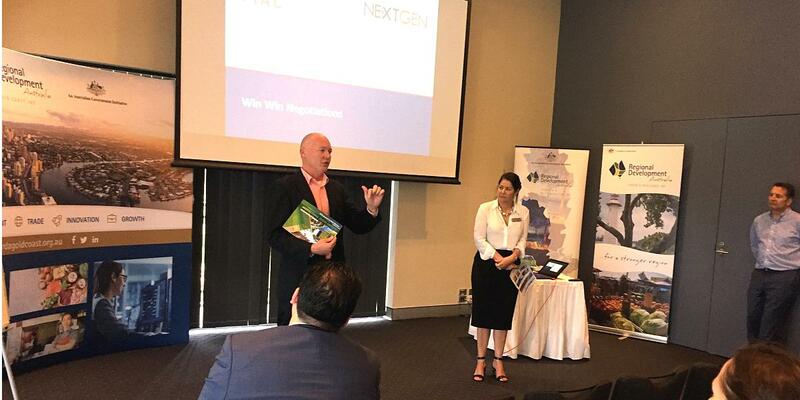 Director of Regional Development Estella Rodighiero and Chair Nick Scott attended this forum in Canberra in August. In the months leading up to the event, Estella was one of eight DRDs on the National Forum Reference Group to provide input and feedback and help shape the forum program. The theme of the forum was Collaborating and networking to grow regional economies, and included sessions on the future trends of regions and how to leverage off this to grow regional economies. The key sessions were: Regional Australia: 2030; Australian Government Investment; Facilitating Innovation and Entrepreneurship; and Building a Stronger RDA Network. Workshops were held prior to the forum, with a focus on capacity building and collaborating on common themes of interest for RDAs. The workshops included: Facilitating Trade and Investment; Population, Migration and Settlement Challenges; Evidence-based Policy Advice; and Building Effective Regional Partnerships. There were around 170 attendees across the two days, with representation from RDA Chairs, Deputy Chairs, and Directors of Regional Development. Estella is pictured with the former Minister for Regional Development John McVeigh. RDA Gold Coast had partnered with RDA Logan & Redlands, RDA Ipswich & West Moreton and FIAL (Food Innovation Australia LImited) to organise a series of workshops designed to boost the competitiveness and innovation of businesses in the food and agribusiness sector. There will be seven workshops in total held over the next eight months in the Gold Coast region. Following an independent review in 2017, funding for the Regional Development Australia (RDA) network has been extended through to December 2020 under a new, more action-oriented charter. The charter requires that RDAs move beyond a planning role, to becoming an active catalyst in growing strong and confident regional economies. This includes pro-actively connecting regional businesses with international trade partners, financial markets and potential investors, and working with regional entrepreneurs and emerging business leaders to explore new opportunities for innovation and jobs growth. Former media manager Nick Scott has taken the reins of RDA Gold Coast from retiring, long-time Chair Craig Devlin. Mr Scott was appointed in May, along with new Director of Regional Development Estella Rodighiero, formerly the Senior Economic Development Officer (Commonwealth Games) at City of Gold Coast. Mr Scott said he was looking forward to steering the body in a new direction with a focus on bringing new industry and employment to the city. Ms Rodighiero said the Gold Coast was entering into an exciting new phase following the Games and looked forward to seeing the city evolve its reputation as a global destination for trade and innovation. Professor Paul Barton - Professor of Urban Management and Planning, Griffith University. In line with the RDA's new, dynamic charter, we have redeveloped the RDA Gold Coast website to fully support our goals of attracting investment, harnessing opportunities and growing jobs. The site has a new section on Investment & Trade Opportunities on the Gold Coast, plus a Regional Data page with detailed economic and community profiles to support investment decisions. There's also new portal pages for Funding (business and community grants) and Business Information, and an Events page with details on our upcoming series of business workshops. We'll be promoting the website through social media and other channels, including our new e-newsletter THRIVE, designed to keep stakeholders up to date with opportunities and events in the Gold Coast region. RDA Gold Coast has collaborated with 11 other Queensland RDAs to produce Queensland's Regions Trading Globally, a 32 page prospectus detailing key or emerging export sectors, innovative industries and opportunities for investment across the state. The publication was developed as part of the Commonwealth Games Trade 2018 Trade and Investment Program to showcase the diversity and strength of Queensland’s regions to a global audience. It is a resource which can be utilised long after the Games are over. 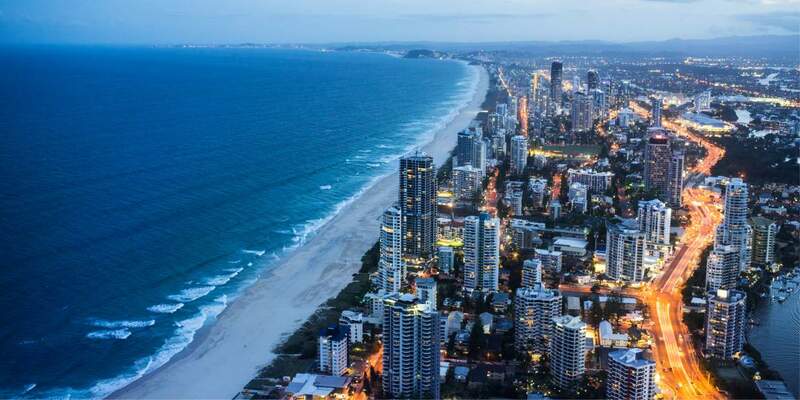 RDA Gold Coast had a booth at the Queensland and Commonwealth Collaboration Showcase on 12 April, putting Gold Coast strengths and opportunities on display for potential international investors and cross-regional collaborators. RDA Gold Coast's former Chair Craig Devlin also played a key role in the event, welcoming guests on behalf of the Gold Coast, and later joining the Cross Commonwealth Collaboration panel for discussion and questions from the audience. In the photo he is pictured (centre) with the Premier of Queensland Annastacia Palaszczuk and RDA Gold Coast Committee Member David Zohar. Director of Regional Development Estella Rodighiero also had the opportunity to discuss the Gold Coast's investment strengths with the Premier, as she toured the trade and business displays for the RDA regions on the day. RDA Gold Coast is now a sponsor and committee member for the 2018 Gold Coast Business Excellence Awards, our region's leading honours for business acheivements. Director of Regional Development Estella Rodighiero is pictured presenting the RDA-sponsored Manufacturing Award for June to Timbertone Garage Doors. There are 11 categories of honours, with monthly awards held from May to October each year. At the end of the year, all the monthly winners vie for annual awards in each category and compete for the Business of the Year Award honour at a black-tie Gala Awards Dinner, to be held on 10 November 2018. Director of Regional Development Estella Rodighiero participated in the 5th annual TCI cluster event, Why Clusters Matter, at the Sunshine Coast from 5-8 June this year. This year's event focused on growing regional trade and investment through clusters, and featured experts from Denmark, Scotland, France and New Zealand, including Frédéric Miribel (pictured) talking here about how clusters have been a powerful incentive for investors in Lyon, France. Development of clusters removes the isolation of businesses and regions, building a culture of collaboration for increased innovation and competitiveness and the ability to connect globally. 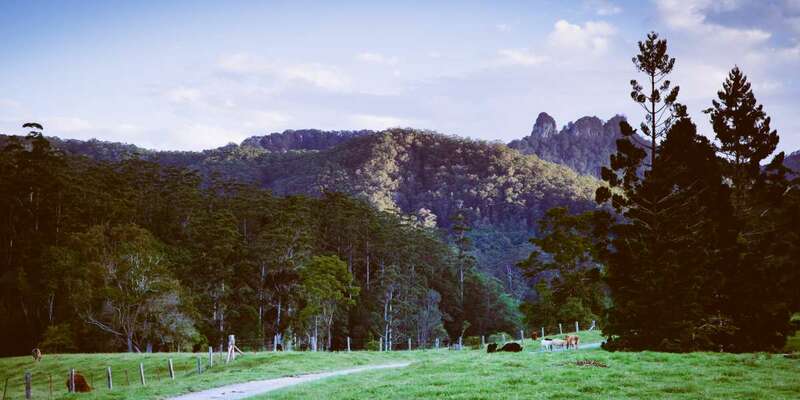 The Australian Government has announced $200 million in the 2018–19 Budget for Round Three of the Building Better Regions Fund (BBRF), with tourism-related infrastructure identified as a priority. BBRF is designed to create jobs, drive economic growth and support strong regional and remote communities across Australia by funding infrastructure and community investment projects. It is anticipated that Round Three will be open for applications in the second half of this year. Stage One applications for the Regional Growth Fund, which provides grants of $10 million or more for major transformational infrastructure projects in regions outside the capital cities, closed on 27 April 2018. Successful Stage One applicants will be invited to submit a Full Business Case (Stage Two) later this year.